The “M” word. That dreaded thing that people either don’t want to talk about because of the pain it brings, or they avoid it out of not knowing how to start the conversation…miscarriage. It is something I would never wish on anyone, but sadly it is all too common. I can guarantee you personally know at least two people in your life who have gone through it, whether you were aware of it or not. I myself can think of thirteen friends just off the top of my head, some who have unfortunately had multiple, heart-wrenching miscarriages. The majority of miscarriages happen in the first trimester, which is why many doctors advise you not to go public with your exciting news until after 12 weeks. But that doesn’t mean you are in the clear once 12 weeks has come and gone. Of those thirteen ladies I mentioned, those miscarriages ranged from five weeks all the way up to a still birth at 9 months and everywhere in between. Then I think of friends who have lost their children at 4 months old, or 5 years old, or 21 years old. It is completely false to think that we have any control over our family, over when we can or will conceive, over when those adoption papers will finally clear, over our young or adult children. “A man’s days are numbered. You know the number of his months. He cannot live longer than the time You have set” (Job 14:5). “You saw me before I was born. Every day of my life was recorded in your book. Every moment was laid out before a single day had passed” (Psalm 139:16). I was at about 6 weeks when I experienced my miscarriage. Some people initially doubted that I was even having one. They told me I was probably wrong, and was more than likely just making it up in my mind. In the middle of all of my pain, the last thing I could have anticipated was someone telling me I was probably just imagining it. I had a natural miscarriage, in which my body signaled itself that our baby had died and proceeded to rid itself of that baby and everything that comes along with it. I did not imagine the things I saw coming out of my body that week, or the labor-type contractions that my body was using to push everything out. Every woman is different and will experience their miscarriage differently. You are not wrong for experiencing your miscarriage differently than me, and I am not wrong for experiencing it differently from you. We are both created in the image of God, and he did not create any two people the same, yet we are both experiencing life the way he intended us to! If you have had a miscarriage, I encourage you to let yourself be vulnerable with a close girlfriend and allow her to walk in the journey with you. She needs it just as much as you do! God’s design for community is that we walk with each other through life’s ups and downs, and if we don’t let people in, we are stealing that opportunity from our community. Take it from me, the queen of minimizing. Almost any time I have experienced suffering, I can name another person who is, in my opinion, going through much worse suffering than I am. So I set my feelings, my hurt and frustrations on the back burner thinking it will be a hinderance to being available for my peers. Friends, that is not the way God intended it to be! He asks us to be vulnerable in order to see God moving in our lives. But we avoid it because being vulnerable exposes us. It makes us open to potential hurt and pain from people who mean well, but say the wrong things. But God is a trustworthy God and if we ask Him, He will enable us to be vulnerable and find those people God intends us to create deep community with. Looking back, I had too many expectations that went unmet, and probably aided in a bigger emotional let down after my miscarriage. I have always been fairly healthy and in shape, so I expected to be someone who got pregnant within three months of trying and carry full term with no issues. After twelve months of trying, we finally got that positive pregnancy test only to begin miscarrying days later. I expected to get pregnant again, “for real this time”, immediately after the miscarriage since hormone levels are so high following the loss of a baby. I expected that God would give me what I wanted so badly because He loves me, so he has to, right? I expected my husband to have the same feelings of let down that I did. I expected my husband to be a mind-reader and know exactly what I needed from him during the weeks after our miscarriage. I expected total strangers to be perfectly sensitive around me because they must know that women struggle every day to start a family. Now listen… I know how ridiculous and unreal all of those expectations are, that’s why I’m sharing it with you. But I needed to experience all of this to understand this much more about who our loving God is! He loves me enough to not give me everything I want like a spoiled toddler, but to give me what I need every moment of every day. He loves me enough to give me grace for my failures so that I know what true grace feels like and can extend that grace to others. He loves me enough to walk with me through trials and to know my pain more than anyone else possibly could, and to teach me more about deep communication with my husband – a husband who wants to know me deeper instead of being shut out when I’m hurting. I look forward to the day when we will have our own family. 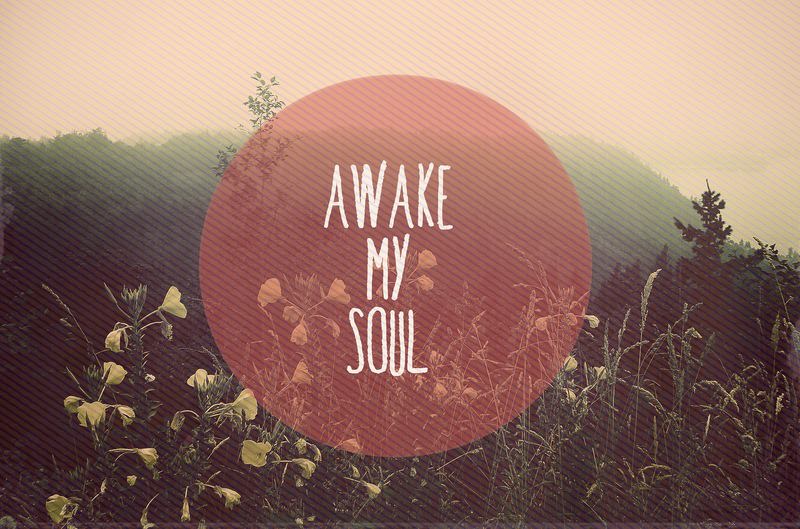 But for now, God is redeeming the absence of children to awaken my soul to Him and to find my Joy solely in Him! Love this post and I love your heart! Sharing your heart brings healing. I’m praying for you and. remember all these same emotions when we walked this road. I truly believe there is a beautiful story you will be sharing down the road! Thanks, Pam! And thanks for walking along this journey with us. We appreciate you two! Thank you for sharing and telling your feelings so clearly. As a midwife who has shared these sad moments with women, I warm women that it is a “lonely grief”, since you are the only one that “knows” the baby. No one else will be able to experience the same level of loss. Your advice about sharing with a friend is so good! And give yourself the time and space to grieve. Thanks for posting in a way that will help others. Praying for good news in the near future for you! Thanks, Shelly! I appreciate the encouragement, and you are exactly right. A miscarriage is a very lonely grief, so our community becomes that much more important! Thanks for the feedback. Nicole, as others have said, thank you so much for sharing your heart. We experienced a miscarriage in May of 1994, and it was amazing how many women came forward to comfort me out of their own past experiences. Many were women I’d known for years, but had never known that they’d gone through that. Love you, sweet friend. God is using you and walking alongside you.